75' OF LAKE PLACID WATERFRONT! This charming 3/3 Lake Placid property is your bit of heaven just waiting for you to call home. Upstairs living area welcomes you with a panoramic view of the water with many access points to the deck. 2 bedrooms upstairs along with living quarters downstairs provides lots of space for daily living or weekend guests. Cedar lined walk-in closets upstairs with an abundance of storage space downstairs is a bonus. Bulkhead recently reconstructed. Two boathouses recently added along with an extra concrete patio area and swim deck. All appliances convey. Furniture is negotiable. Courtesy of A Cut Above Realty, LLC. Please, send me more information on this property: MLS# 367665 – $550,000 – 460 Turtle, Seguin, TX 78155. 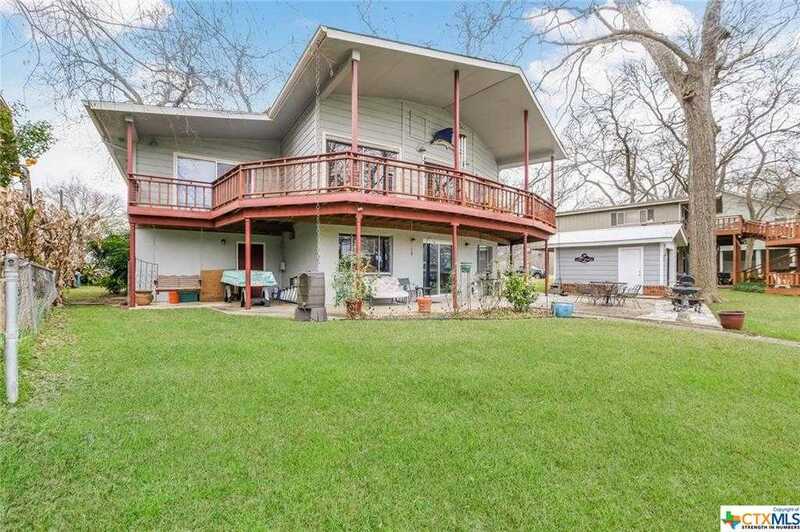 I would like to schedule a showing appointment for this property: MLS# 367665 – $550,000 – 460 Turtle, Seguin, TX 78155.